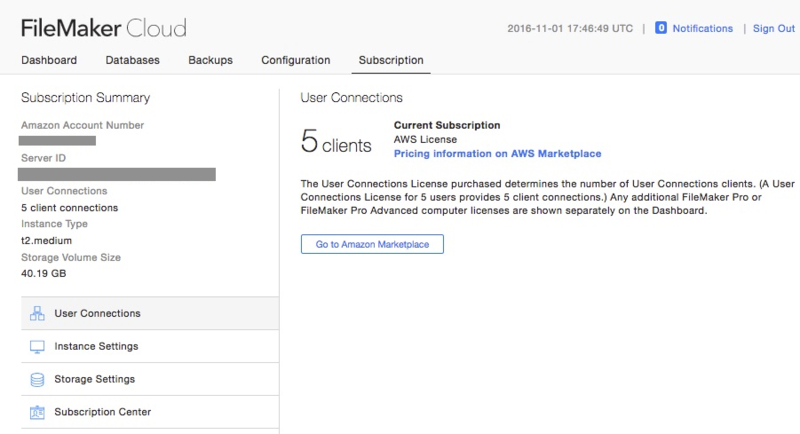 The links in the Subscription Center do not require a user to log in to the admin console, so you can easily send out the download links instead of the installer files to your users. 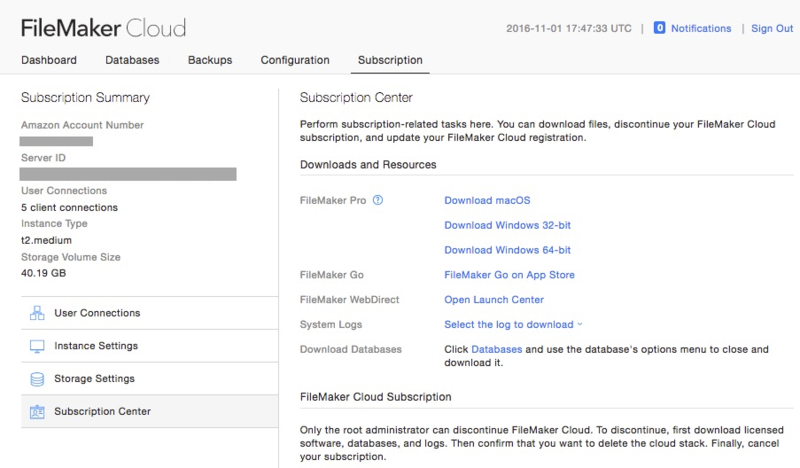 Lower down on the page, you can register your server with FileMaker, or terminate the server instance. Somewhat oddly to me, this is also the page is where you can download many of the server’s log files.